Take in the sounds, sights and smells of rural life in the 1890s at Historic Longstreet Farm, Longstreet Road, Holmdel, a 19th century living history farm. Call 732-946-3758 for more program information. The TTY/TDD number is 711. This tour provides a greater understanding of family roles, clothing, furniture, and technology of the 1890s. 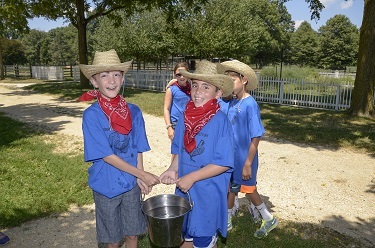 Children tour the farm and participate in a hands-on activity, such as grinding corn or feeding the chickens. Experience farm life in the 1890s - milk the cow, collect eggs, and prepare breakfast on the woodstove.